From the award-winning author of Seven Kinds of Hell comes an intriguing new tale that brings the supernatural thrills of the Fangborn world to Sherlock Holmes’s nineteenth-century London. 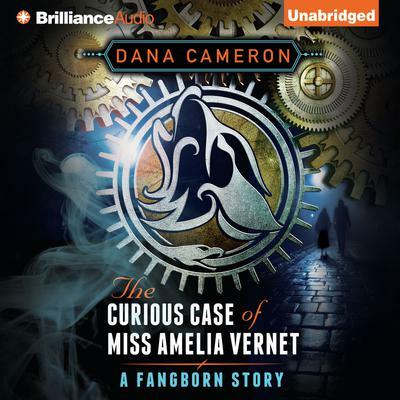 On the surface, Amelia Vernet appears to be the great detective’s quiet sixteen-year-old cousin. But her innocent exterior conceals an important fact: Amelia is a member of the Fangborn, a secret family of werewolves, vampires, and oracles sworn to protect Ordinary humans, and she uses her Fangborn werewolf gifts to help Holmes solve the curious cases that cross the doorstep of 221B Baker Street. When the Baker Street Irregulars show up at Holmes’s residence with an unconscious boy in tow and reports of a kidnapping, the detective and Amelia spring into action—but the case quickly proves to be most perplexing indeed. And when they realize their new enemy’s terrible intentions, the pair must fight back with all their wits and strength before their lives—and those of all Fangborn—are destroyed forever.